I've known for some time now that I need to do more video. The cost and time required, however, kept me away from the medium. Besides, I could always justify my delay with the longstanding conventional wisdom: Brands should operate like publishers. My priorities truly started to shift a few months ago, when articles proclaimed that brands needed to prepare for video as a replacement for the written word. The rise of live-video solutions makes me wonder if brands and businesses should operate more like broadcast news stations instead. Live video has been an exciting fringe content-creation activity during the past decade. Some early social-content marketers embedded platforms such as Ustream and Livestream into their Facebook pages. Then Google+ allowed Hangouts to be livestreamed on YouTube. Today, nearly every social platform has a live-video streaming integration or solution. The explosion of Facebook Live, Periscope and Twitch tipped the practice even further. Business owners can't put off video content any longer -- myself included. I finally acknowledged that I need to really delve into the topic, but I still didn't know the best way to do it on the cheap. A few weeks ago, Facebook announced scheduling on its live platform. Content creators can schedule a live broadcast up to one week in advance. This also enables them to embed links to a future broadcast in websites, blogs, emails and other digital materials. For me, this planning capability and the audience's greater acceptance of live-video streaming signaled it was time to take the plunge. And viewers' expectations mean my wobbly mobile phone's vertical view wouldn't cut it. Before I invested in new equipment, I spoke with Geoffrey Colon, a communications designer at Microsoft who works on Bing Ads. His recent book, "Disruptive Marketing: What Growth Hackers, Data Punks, and Other Hybrid Thinkers Can Teach Us About Navigating the New Normal," shows how live video enhances brand awareness and engagement. Colon's tips can help every brand -- from small, local businesses to startup tech conglomerates -- operate like a billion-dollar live video network. Colon noted in a recent video how business owners can build a high-quality, live-video studio setup for less than $2,000. And most of that cost is the device you probably already own: your smartphone or tablet. "What used to cost upwards of $15,000 is now available to everyone for a fraction of that price," Colon says, "and no professional knowledge is necessary based on the ease and experimentation of using the app software." 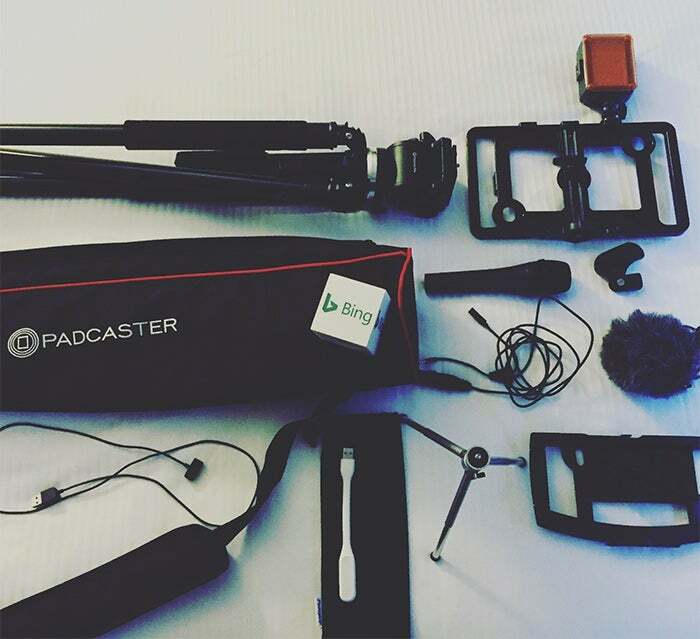 The team at Microsoft starts with Bing-branded microphone blocks ($35 each) and a unit called a Padcaster ($190) that holds an iPad mini, an iPhone or a Microsoft Surface -- depending on the type of content. The rest consists of an F&V K320 light ($90), two MM-LSM 5 Stick Microphones ($140 each), a VT-16 tripod ($160) to mount the Padcaster and the Live:Air (pronounced Live to Air) app. It's this last piece that Colon believes is most essential. Live:Air helps stream content to a variety of platforms. You also can use the Pages Manager for Facebook app to stream directly to your Facebook page. 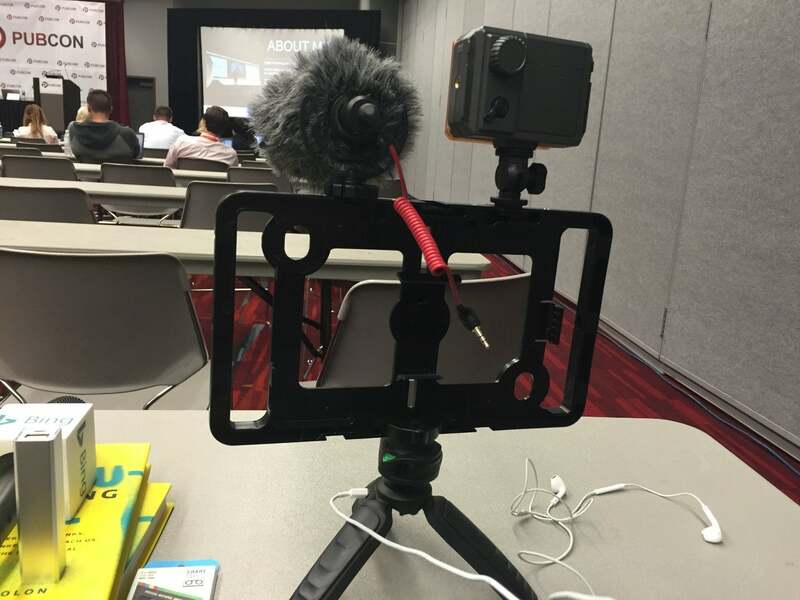 If you go mobile and cover events, it’s important to pay equal attention to sound and picture. Jonathan Keith, Vice President of Content Development for Magnetic Agency Group, shoots brand-sponsored live video at events where sound matters -- Winter Music Conference, Coachella, Art Basel and more. Live video is much more than cost-effective and popular. It's quickly becoming the way to build business models that didn’t exist even 12 months ago. Colon cites several interesting players who are building their names strictly around live video. In the process, they're disrupting how audiences perceive content delivery.